A while ago I was approached by a new magazine, Admire, that will be distributed around the Nelson-Tasman region here in New Zealand. They asked if I could make a tutorial for them - something relatively easy and not too crazy - nail art for their target audience; over 30's. So this is what I came up with! It took me ages to settle on a design. I'm used to doing designs that are well-and-truly crazy, like Frozen. Much more my forte, but I have to learn to be adaptable for when I have proper clients! Apparently my tutorial will be going up on Nelson Mail, as well - I'm not sure when but I'll be keeping an eye out! For this design I made two tutorials; one as a YouTube video and the other as a picture tutorial. I'm sure the picture tutorial will be welcome, as I haven't done those for ages and I know people like them. Here's the video tutorial - it has more detail and a few nail art tips that I couldn't squeeze into the picture one. You can subscribe to my nail art channel here! Here's a shot of both hands. 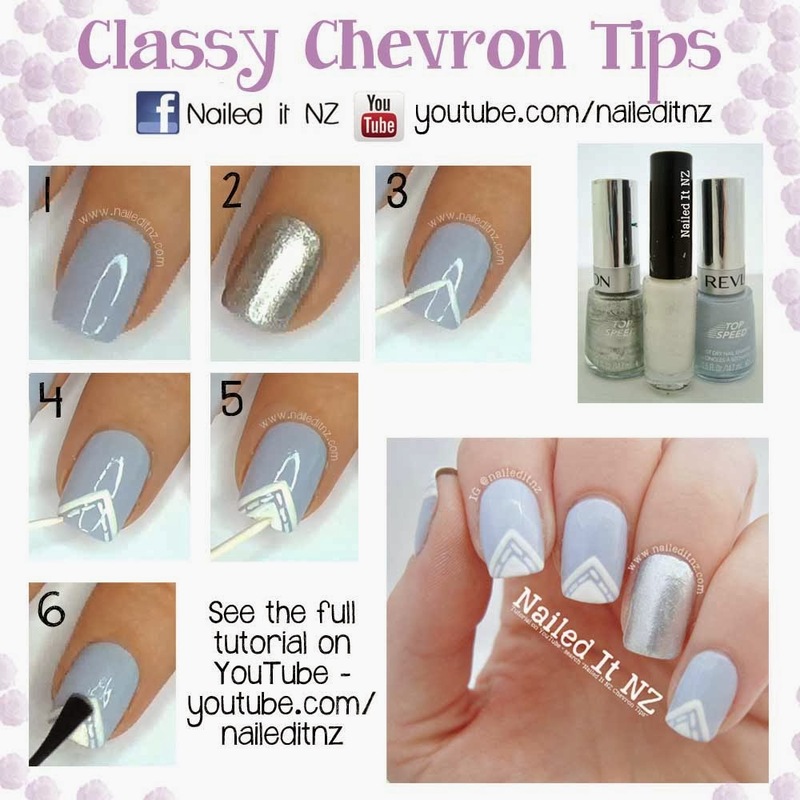 And here's the picture tutorial for this nail art! Feel free to save it to your computer and share it with your friends/followers but remember that when you share someone else's picture online you must give credit. You don't want to get in trouble for infringing copyright! 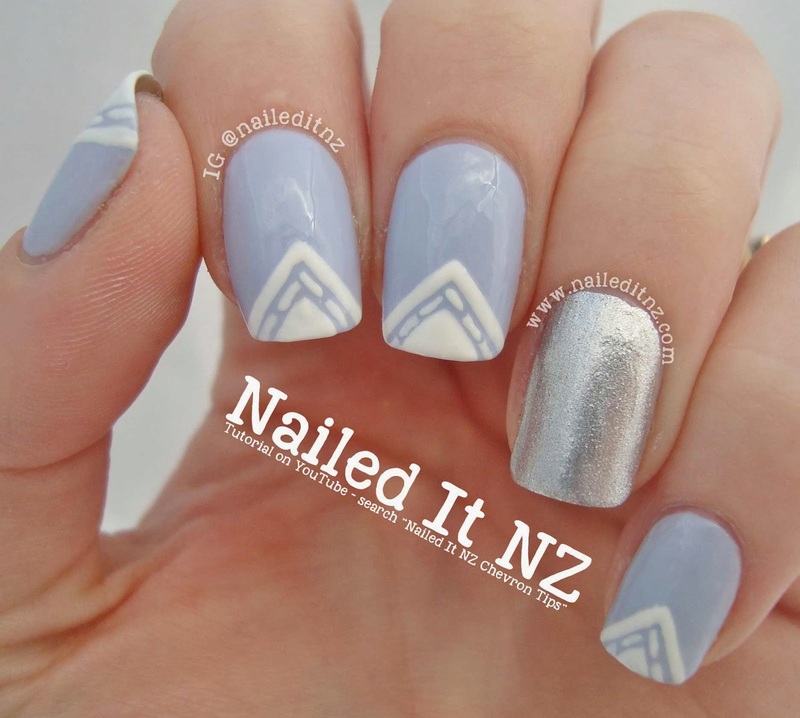 All you need to do is say something like "this tutorial is by www.naileditnz.com." I also have a Facebook Page, Instagram and Twitter you can tag me in, if that's easier. 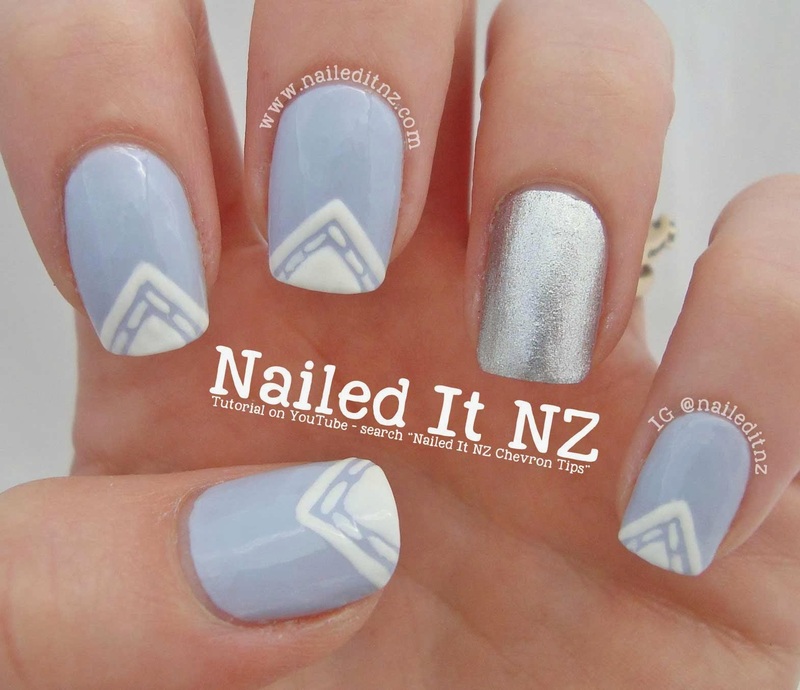 More about crediting and nail art theft can be found here. I took WAY too many photos of this design, the ones you see here are only a fraction of them. It's a bit ridiculous. Also, I have heaps of cool videos ready to upload to YouTube; McDonald's nails, Rose nails with studs and a bloopers video! That latter took so long to edit... and had so many cringe-worthy moments. I remember when I made my first YouTube video that showed my face; I went inside and told Chris (husband) that I did NOT have the looks or charisma for YouTube. Then laughed and kept doing it anyway ☺. I should mention that I'm really bad with knowing what the current nail art trends are. As in, I don't believe in trends at all and think you should wear what you like and have whatever nail art you want. Current trends are good for introducing new ideas and inspiration though - not that I'm stylish at all but I like to plan my future "when I'm rich and famous" wardrobe sometimes! I think this is chevron. Kind of chevron. I just did it because it was pretty. Hope you like this design and try it out for yourself! I've seen some awesome recreations so far, lots of colour-changing and mixing things up. 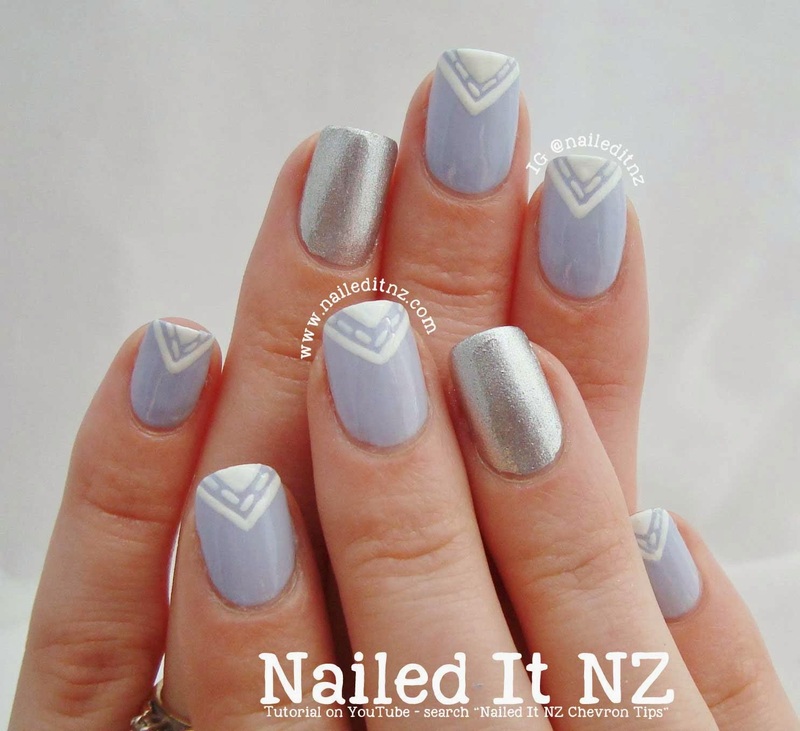 If you do do them feel free to tag me on instagram @naileditnz, post it to my Facebook page wall or in the Nailed It NZ Plus group (I just realised I haven't blogged about that yet. Another time!). Hope you're having a good week. I'll have another nail school update coming soon!